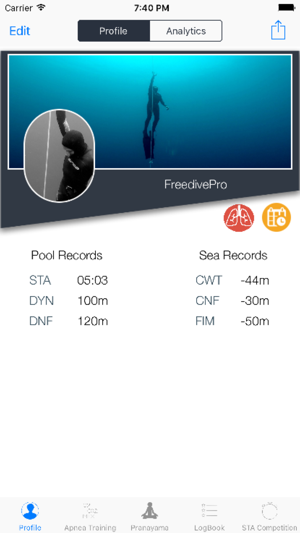 Take your freediving to the next level, improve your diving and training with the most complete freediving app on the market. Transform your data into information. See how your training is going. You can see and analize your training easily in different charts. Custom your freediving card with your personal bests, in pool training as well as in sea training. You can show off to your friends by sharing it on social media. See the different volumes of your lungs with the purpose of showing how the pressure affects your lungs when we do freediving. You can plan your own training now. Program your apnea sessions including competitions, pool training, sea training, yoga training, etc. and the app will always notify you. 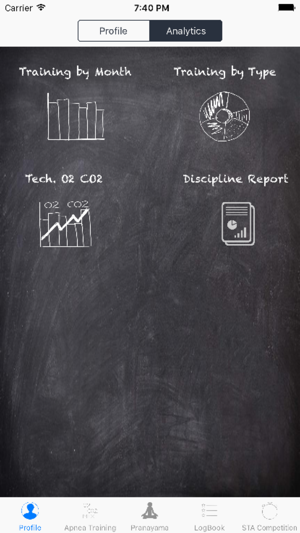 Enter as much information as you can about your training, in order for Analytics to show your evolution over time. 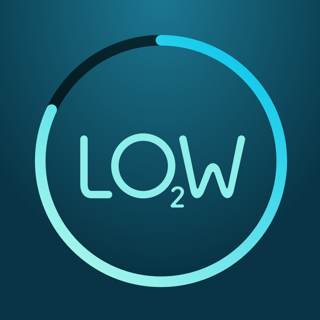 O2, CO2 and MIX Trainings. Use the automatic trainings in order to improve your apnea STA. Put together your personalised breathing session for your apnea session. Mix normal breathing with pranayama breathing in order to reach a pure state of relaxation. 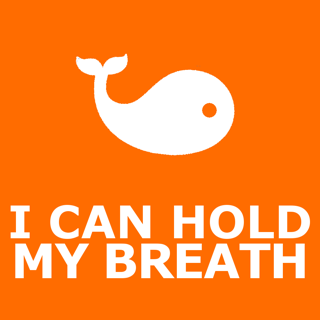 The app will tell you when you have to inhale, exhale or hold your breath. Make note of your time/length/depth and see your evolution in apnea STA, DYN, DNF, CWT, CNF and FIM. ◦	All: Type of training (Full lungs or exhale). ◦	All: How do you feel? 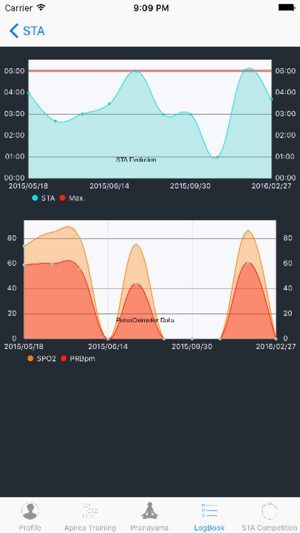 ◦	STA: Data from your pulse oximeter. ◦	STA: Water or dry. ◦	Sea Disciplines: Dive time. ◦	Sea Disciplines: Lung Capacity at depth. ◦	Non-STA Disciplines: Type of fins (Bi-fins or Monofin). ◦	Non-STA Disciplines: Type of facial equipment (Mask or Noseclip). See your evolution in the chart. Enter your time and start competing in the most important static competitions in the world (AIDA, CMAS). In order to get the white card you will need to respect the protocol, if not you will get a red card. 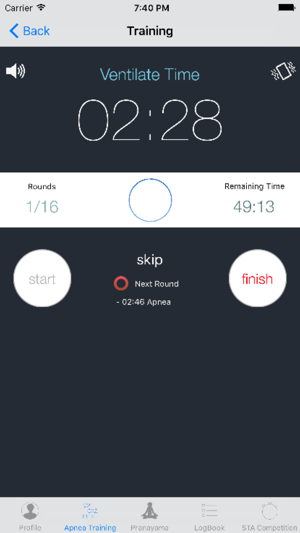 Using this app you will never make protocol mistakes again when you compete in competitions. Thank you for your feedback which helped us repair some of the bugs. 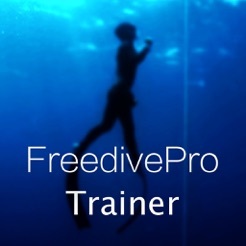 If you're enjoying FreedivePro app, please keep your support coming in by leaving a positive review and rating on here. We appreciate it! 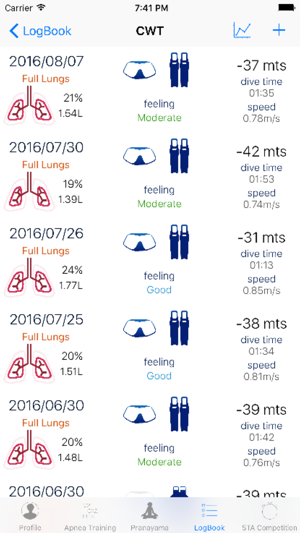 I absolutely love this app, by far one of the best Freediving apps I have used. The only thing it is lacking that would make it perfect is integrated Pulse Oximetry data from external monitor.